Late medieval English chronicles contain several puzzling references to the idea of people ›becoming English‹ by changing allegiance, usually in the context of war. How does this fit in with the predominantly ›racial‹ understanding of nationhood that permeated late-medieval English literary texts and official rhetoric, based on well-established ideas about birth, blood and heredity? 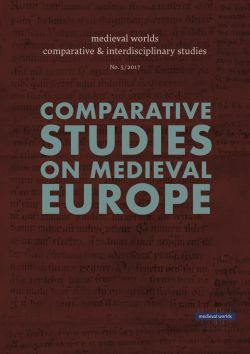 These assumptions provided a powerfully persistent backdrop to late- medieval English writers’ constructions of national identity and culture, which had an impact not only in literary spheres but also on government rhetoric and policy. Was it possible for a person to change nationality by changing sides? It is argued that these scattered re ferences by certain chroniclers to ›becoming‹ English, French or Scottish refer not to an actual change in nationality as a legal and political status but act as a shorthand way of describing an anomalous change of political allegiance. Such instances of changing sides went against the grain of the political behaviour expected from a person born into a certain nationality but they did not change that nationality, which was associated with blood and birth. The essay goes on to examine the language of denization, by which foreigners were granted the legal rights and privileges of a native-born English person. From a close examination of the range of Latin vocabulary used in official documents, it is argued that even denization did not effect a change in the perceived nationality of the recipient, but only allowed for them to be treated as if they were English, in certain circumstances. Moreover, this new legal status did not automatically remove the alien social and cultural identity of recipients in the eyes of local political society, particularly at times of political tension such as the Glyn Dŵr revolt in Wales or outbreaks of war with France. By teasing out the implications of these puzzling uses of language and terminology, it is possible to refine and complicate our understanding of the intersection of ideas about race, subject-hood, allegiance, and nationality in both the texts and the politics of late medieval England.